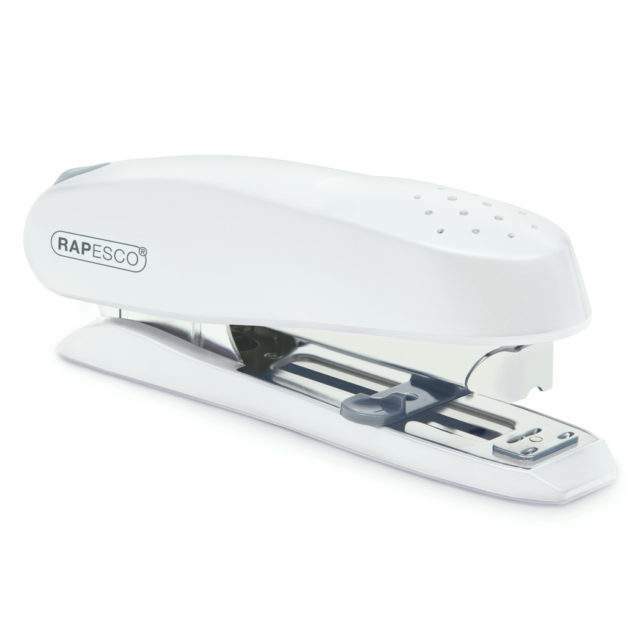 Executive desktop stapling from the Rapesco ECO Spinna in a soft white finish. 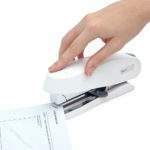 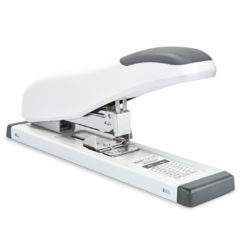 This heavy duty front-loading stapler offers 50 sheet (80gsm) stapling capabilities coupled with stylish and ergonomic design ensuring comfortable use and pride of place on many desktops and is manufactured from a high level of recycled content. 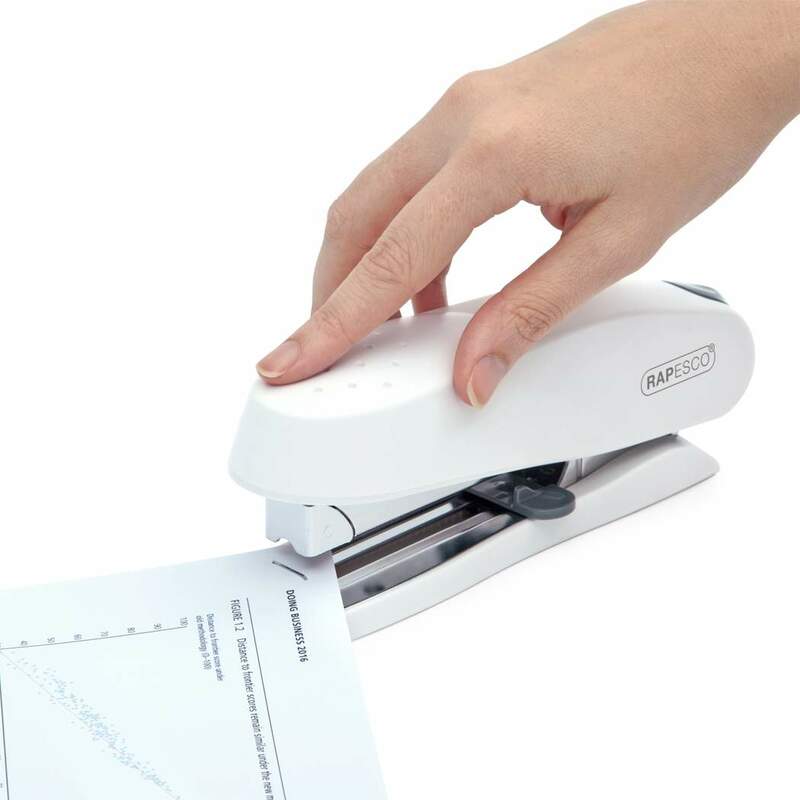 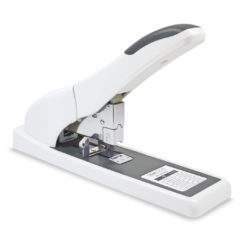 This desktop stapler also features an adjustable paper guide / margin adjuster and a rotating anvil to allow for either staple or pin settings, allowing for permanent or temporary fixing. 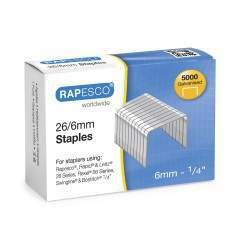 Stapling of up to 20 or 50 sheets (80gsm) when using Rapesco 26/6-8mm and 24/6-8mm staples is easy while the tough, all-steel adds to the feel of quality. 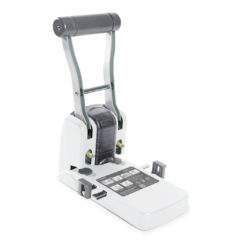 Manufactured to exacting standards to ensure years of trouble free use, the Spinna comes backed by our 25 year Guarantee.